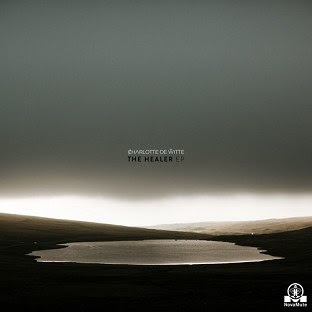 "Charlotte de Witte continues to establish herself as a driving force on the contemporary techno scene with The Healer, her second EP on seminal British imprint NovaMute. The four tracker comes after the Belgian has fully broken through with a dark, dense and driving sound that is proudly unrelenting. Her meteoric rise has come off the back of a series of huge productions, plus standout sets at key festivals and clubs all around the world. Charlotte’s fresh and innovative sound is immediately laid bare on opener ‘The Healer’, with eight minutes of spine-tingling, hypnotic techno.The sleek drums and icy hi-hats soon cast their spell, as well-crafted synths unfold up top to bring real emotion.‘Silence’ is another slice of tunnel vision techno with perfectly designed drums rolling on and synths peeling off the groove. It’s trance inducing and otherworldly, with eerie voices adding to the all-consuming atmosphere. Then comes ‘Kuda’, a track built on monstrous kicks that hit hard and drive forward with real force. Filtered vocals bring character, and sharp edged percussion grows ever louder to take the track, and the club, to the next level. Last of all, ‘Song Of The Wood Nymphs’ shows another side to the producer with three minutes of suspensory synths and expansive ambient sounds that are filled with drama and tension."